Our team diversifies your investment across 10 high-potential entrepreneurial companies in a fund you choose. You can be as involved or hands-off as you like. We bring our knowledge and networks to our investments and we all win when they succeed. You want to back young companies, but it takes a lot of time and money to get started. We simplify the start-process for you. You choose your special focus, make one investment, and we lead the way. With Portfolia investing, you're involved whenever you like: watching founders present, asking questions, joining deal teams, bringing your networks, or just sharing in the rewards. This is investing ... your way. New research shows you need to invest in about 30 companies to be a successful entrepreneurial investor. 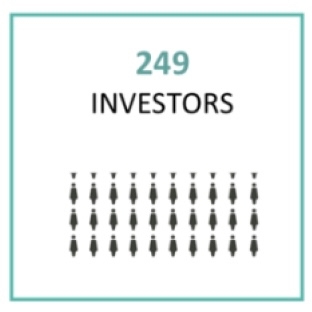 We're tapped into the world's top investing and entrepreneurial networks, letting us scout companies that few hear about until it's too late to invest. 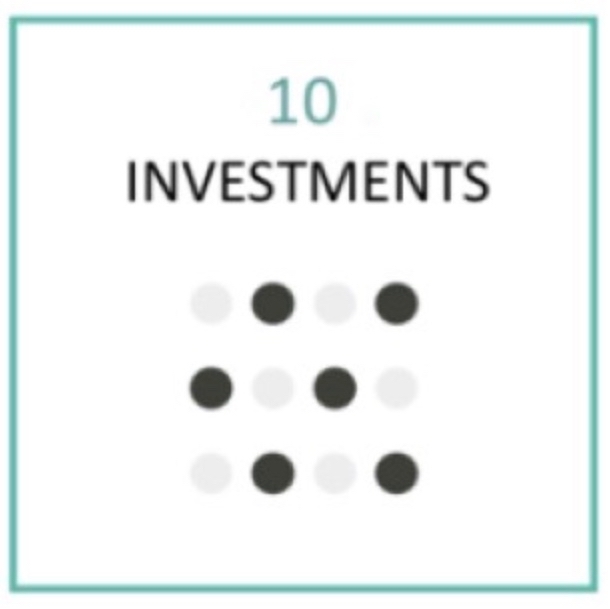 We look at over 100 companies for each one we select to invest in. We think investing is a collaborative experience. We're not just investing your money: we're creating an engaged community to grow companies, and we share in the returns. We create wealth and opportunity, enhancing our communities, the economy and the world. We train our daughters and sons to be catalysts, as well. 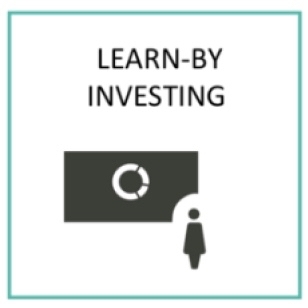 We designed our funds the way we want to invest: With a special interest in appealing to women who own half of the wealth, buy the majority of products, but rarely invest in startup companies. Members select a fund in their area of interest. Our Venture Partners review hundreds of companies from across the world, selecting their top 10 investments for the fund. The diligence and selection process is transparent and educational. It is an engaging experience that lets us learn the investing process when and if it works in your schedule. As a Portfolia member, we invest your money on your behalf -- there's nothing you need to do. But if you want to 'learn the ropes' -- source companies, watch founder pitches, learn deal terms or diligence processes -- you'll be surrounded by a supportive community. 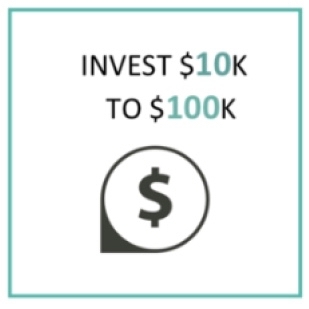 Members can train to become Venture Partners in future funds. 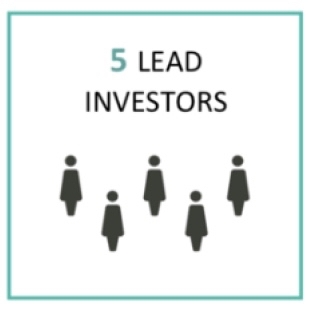 Each fund is led by a national investing team experienced in that specific space. Members invest in funds aligned with their areas of interest and passion. For maximum diversification, members can invest in multiple Portfolia funds. Don't see your area of interest? Let's work together to create it! Portfolia Companies work relentlessly to bring break-through solutions to the world and provide returns to us, their investors. An innovative OTC medical device that restores, heals and rejuvenates a woman’s pelvic floor. A medical device company with an innovative catheter that improves outcomes in cancer patients, now focused on pancreatic cancer. 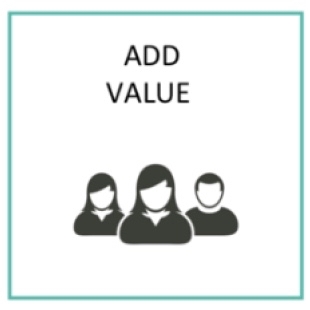 Collects data direct from consumers and aggregates it, to enable brands to make product development and marketing decisions. An over-the-counter male fertility test system that allows couples to measure, monitor, and improve sperm quality to boost chances of conception. A deep-learning based sound recognition software platform that enables enterprise customers to build value through sound intelligence. Family Concierge service for seniors and their families enabling them to stay in their homes longer and maintain their independence. Wearable "On-Star for People" as we age with an easy-to-use speech interface. Discreet support for falls, medication reminders, and a guard against wandering. The first-ever digital identity platform that allows technology partners to maintain persistent track of users without third-party cookies. A medical device for effective, non-hormonal treatment for vaginal dryness, improving quality of life after menopause. An online marketplace for international specialty food that introduces consumers to incredible food products from around the world. An authoring environment format that will be the world standard for digital, interactive, text-based content. An employee engagement solution that increase retention and productivity in high turnover jobs using cutting-edge behavioral science. Layering algorithms on top of email, calendar and other data sources to help professionals manage their relationships and networks. Putting the consumer at the center of their healthcare and empowering them to take an active role in their own health and the health of their families. Empowering mobile operators to deepen their relationships with subscribers and provide access to life-changing financial services. Bioelectric treatment for chronic sinus pain and pressure, which affects over 30M people in the U.S. alone. A material handling system disrupting the massive e-commerce distribution market to allow it to keep up with increasing delivery demands. APIs for 3D surround sound voice and video communication for high-quality conference calls. Spaces designed & built for the 21st century, offering a suite of intelligent home furnishings that give spaces maximum functionality and flexibility. Sellhound is a smart re-commerce platform designed to make selling online as easy as buying, and enabling reuse by breaking down barriers around selling secondhand items online. Mi Padrino is an event planning service to help parents and families organize, plan, and fund events celebrated in the Hispanic tradition. It helps customers organize and share the details of their events with your friends and family around the globe, instantly. Future Family helps families more easily afford fertility services like IVF and egg freezing. Their fertility offerings help customers get the flexibility and services they need on a subscription basis instead of providing cash upfront. Your solution for a better menopause. Genneve provides a personal menopause profile, resources, and access to physicians. Providing cloud managed video security for enterprises that uses facial recognition and AI without the use of complex server systems or NVR’s. Are you an entrepreneur interested in becoming a part of the Portfolia family? We are proud to partner with organizations such as Springboard Enterprises, MM.LaFleur, and Women 2.0, that support, empower and promote women. For a complete list of our partners, click here.